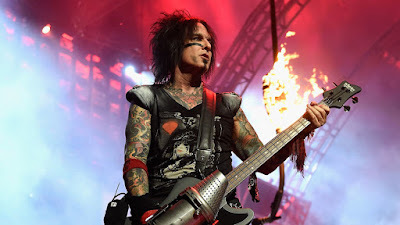 MetalRockNews: Nikki Sixx: "I think Axl Rose has the right voice for AC/DC"
Nikki Sixx: "I think Axl Rose has the right voice for AC/DC"
Motley Crue and Sixx:A.M. bassist Nikki Sixx was recently interviewed by Post-Gazette.com, you can read some excerpts below. About the prospect of an Axl Rose-fronted AC/DC: "I think Axl's got the right voice for that. Brian's a friend. I'm a huge fan of AC/DC from back in the day. I was devastated when Bon Scott passed away and I didn't think they could survive that. Brian means so much to AC/DC. I don't know the inner workings, but if they have to go and do shows, I think Axl's got the right voice."